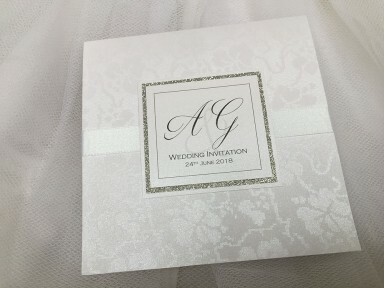 A stroking pocketfold invitation made from the finest pearl embossed card. Personalised with your initials. 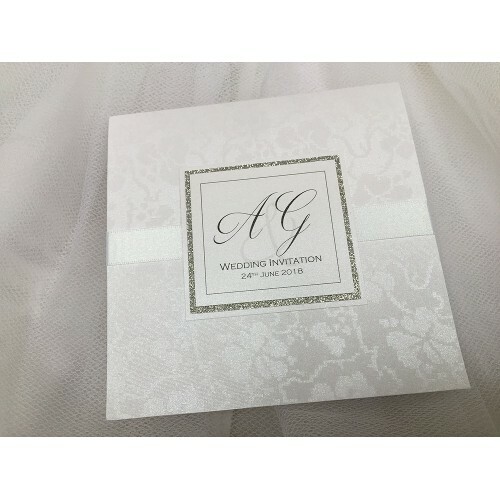 Available in white or ivory with a variety of ribbon colours available.